Spicy foods are often an acquired taste. Whether it’s a spicy Indian curry or habanero peppers featured in a Mexican dish, heat can keep people from trying new foods they may otherwise really enjoy. The good news is you can train yourself to feel that burn and actually relish, not run from, the sensation. Here, find easy ways to step outside your comfort zone and build up your spicy food tolerance. Start off with small steps and work your way up to more intense flavors. Poblano peppers are rather mild while still offering that classic pepper taste, and most jalapeños are also well-tolerated by heat-sensitive folks. Fair warning: roughly one out of every ten jalapeños tends to be exponentially hotter than its friends, even when they all come from the same plant, so proceed with caution if you are truly heat-averse. Afraid to order a spicy dish and then go hungry when you can’t handle it? Whenever the opportunity arises, ask a heat-loving dining companion to share a portion of their five-alarm meal. This way, you’re not making a big commitment, but you’re still letting your taste buds sample a more intense gastro-experience. When starting out in the world of spicy goodness, you may want to keep things simple by adding a dash or two of hot sauce to a mild dish you already love and tolerate well. This will up the flavor ante without setting your entire tongue on fire all at once. When you’re ready to play with spicier ingredients or a new batch of peppers you haven’t tried before (and therefore can’t properly gauge the heat potential), keep a cool glass of milk at the ready. Milk is an excellent way to tone down the level of heat you may experience from eating spicy meals. Hot peppers store a lot of their most potent heat in their seeds and juices. By simply removing the seeds from a pepper before chopping it and adding it to your food, you can greatly reduce that overwhelming heat without giving up any of the bold flavor you’re looking for. Heat isn’t just for savory dishes! Experiment with exotic treats such as Mexican hot chocolate or even sweet-and-spicy chocolate chip cookies to expand your palette. 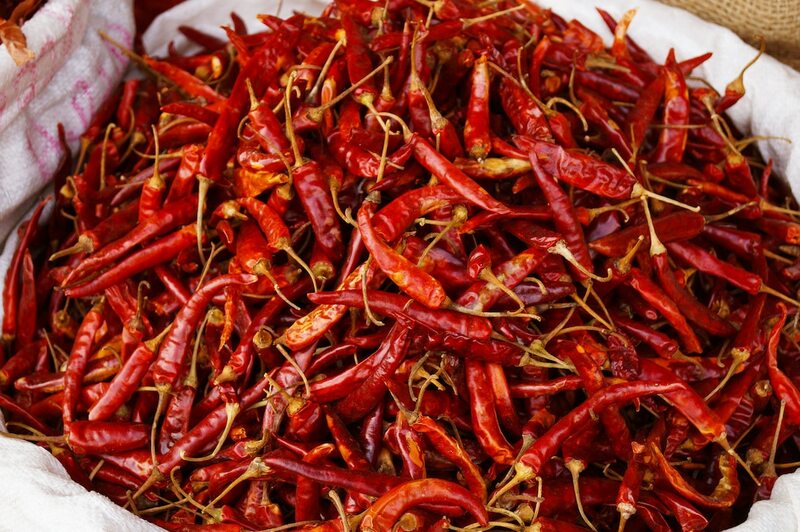 In short, there are many ways to work on building up your spicy food tolerance. Putting even one or two of the above tips into action will help get you on your way to becoming a true heat connoisseur in no time flat.